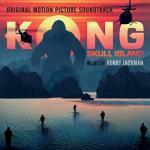 This in another epic remake of King Kong’s legend – a huge ape from some exotic islands lost somewhere in the warm seas. It definitely looks like the re-launch of the entire franchise. ‘Bad Moon Rising’ and ‘Run Through the Jungle’ are creations of Creedence Clearwater Revival. David Bowie with The Stooges are definite headliners in this collection, where every name is tied to these ages: Jefferson Airplane, Vera Lynn, The Chambers Brothers, The Hollies, and Black Sabbath. The most vivid anti-war lyrics are in Creedence Clearwater Revival. While absolutely cuckoo lyrics has ‘Time Has Come Today’ song performed in the psychedelic rock way.